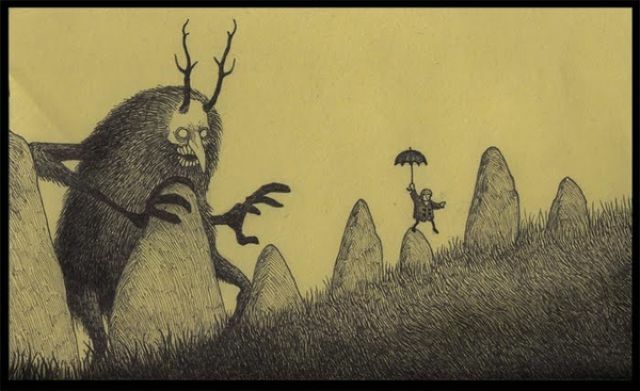 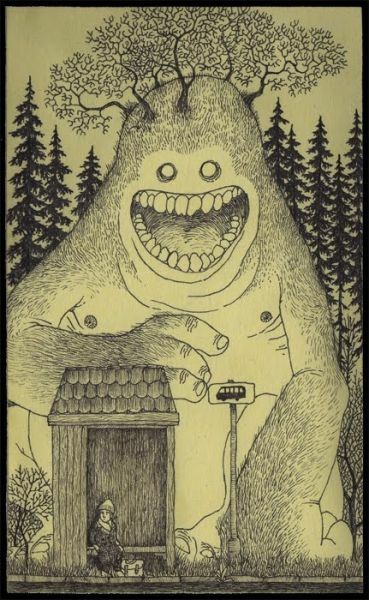 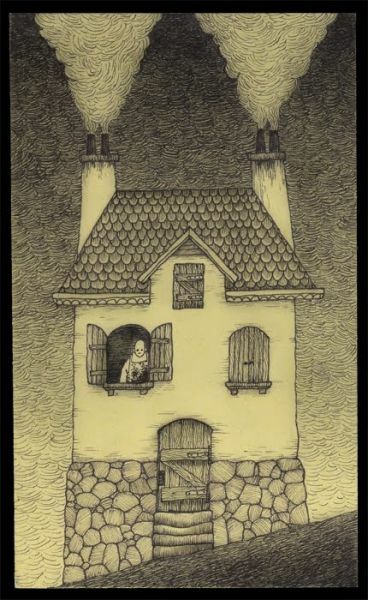 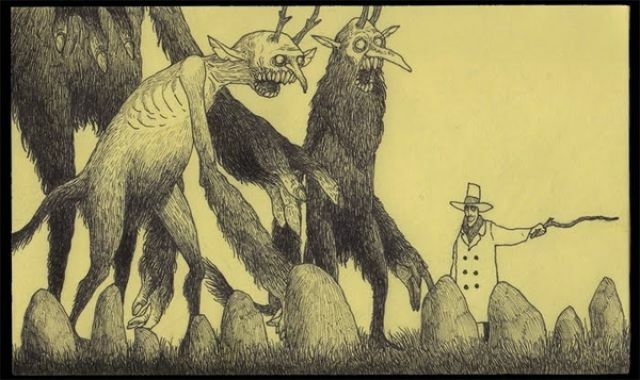 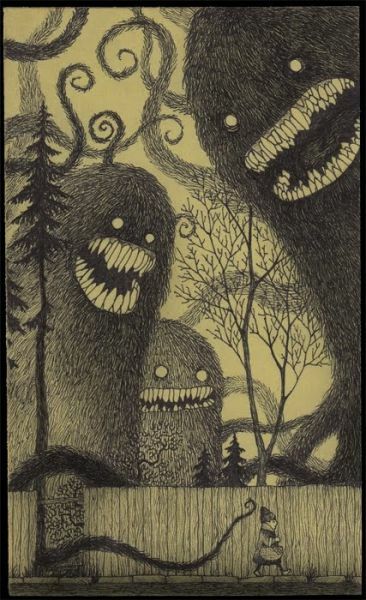 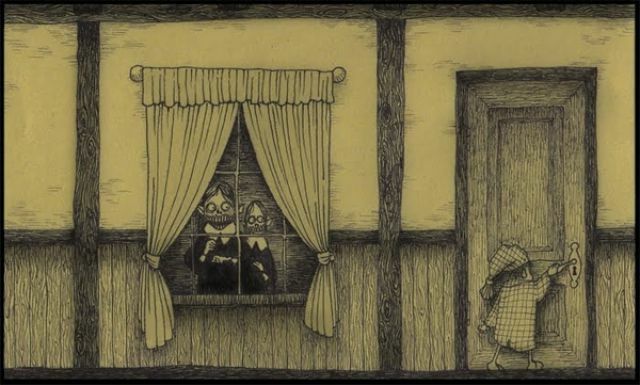 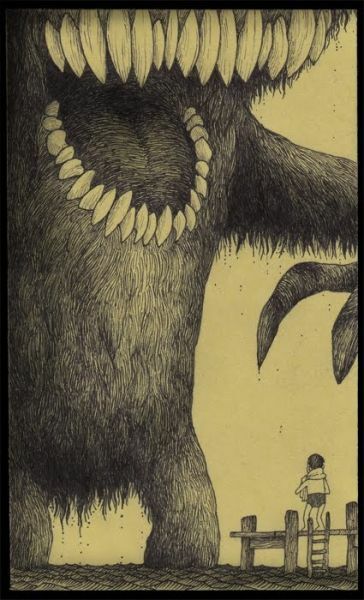 These are very detailed post-it drawings of childhood nightmares. 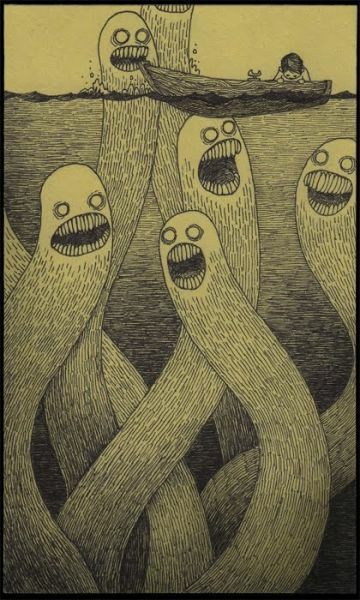 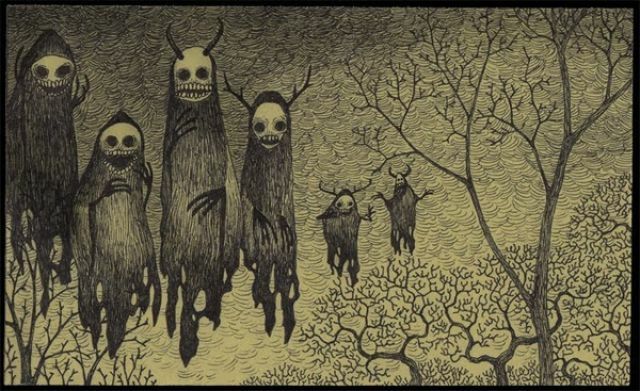 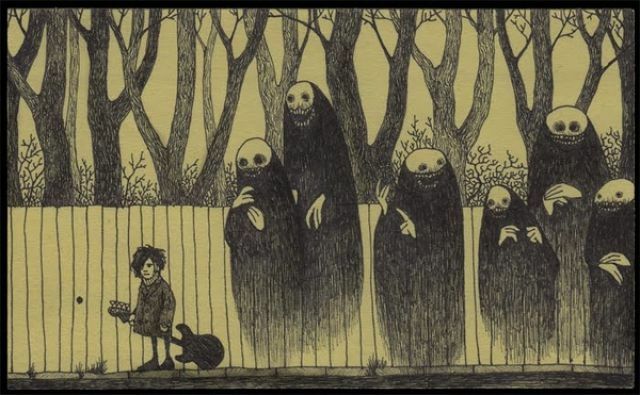 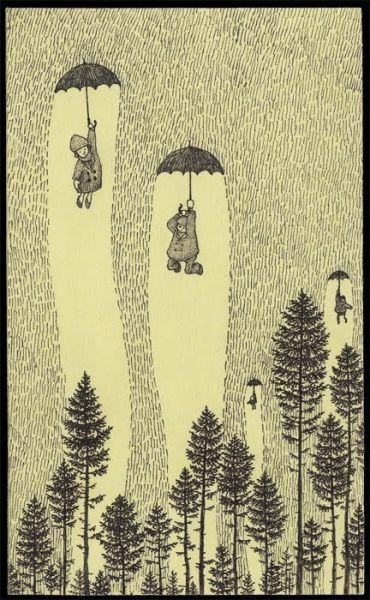 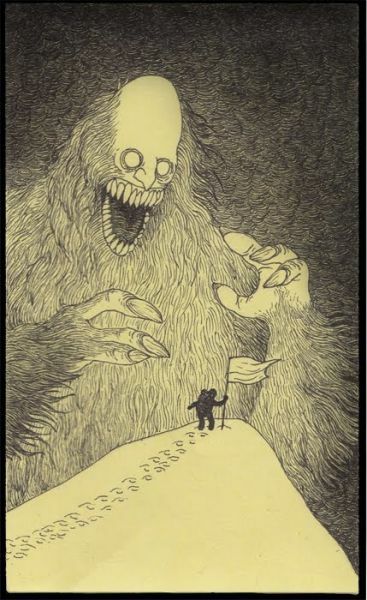 Don Kenn, the artist of these works does an incredible job on such little "canvases." 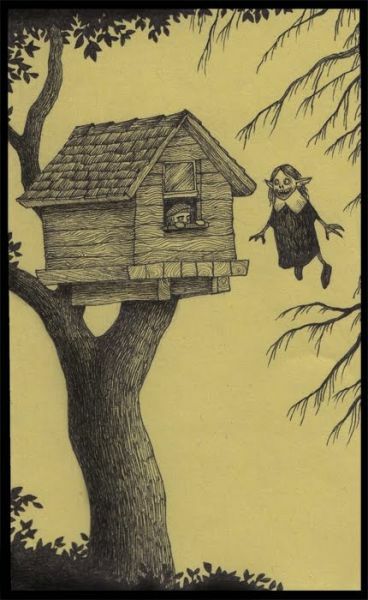 it might be alot of work, dosn't mean i like it. 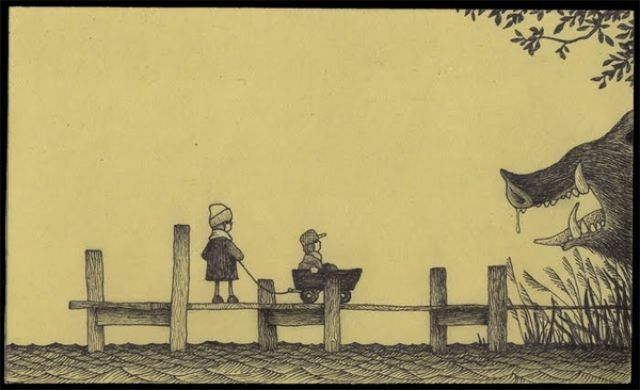 very cool stuff, but you have lost a lot of the detail by shrinking them so much. 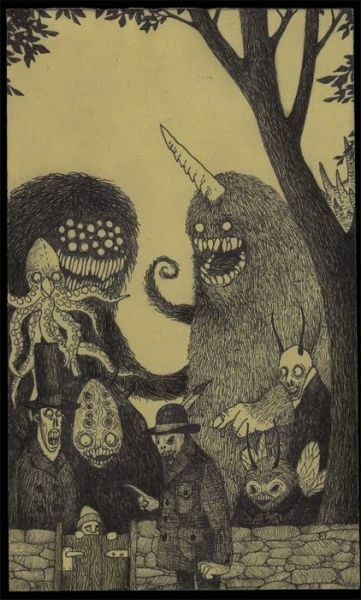 better would have been less pics at higher detail. 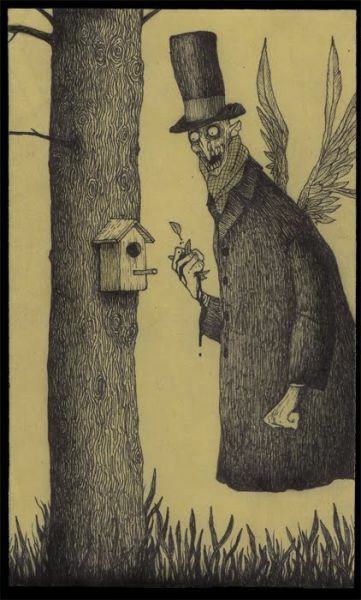 Creepy, but really good art.